UPDATE: Viewing Party! Hangout with us on Google+ tonight during and after the show! 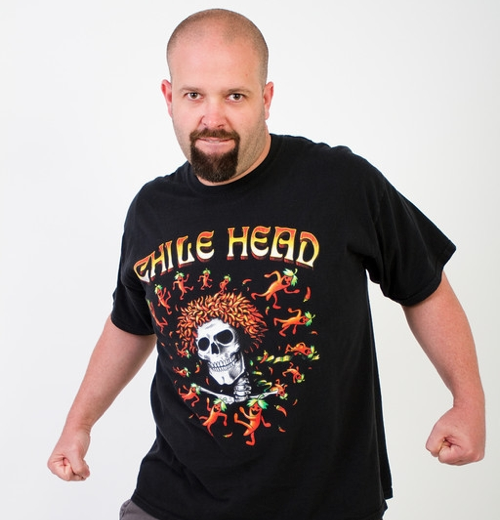 Don’t forget to watch Hairy Bikers tonight at 10pm est on the History Channel to see our fellow chilehead James Wreck and the crew from EatMoreHeat.com! As a sort of “Viewing Party”, over on Google+, I will be creating a Hangout at 9:30 ESTime – 30 min prior to the Hairy Bikers show. G+ Hangouts are limited to 10 people, but the cool thing is all 10 can use their web cams/mics at the same time. Hangouts can’t be scheduled or created ahead of time. Google’s intention is for them to be spontaneous. So you’ll have to get to my profile and/or view my posts to join the Hangout. Hopefully I’m in your circles so it should be easy. The hottest chile in the world is the Trinidad Scorpion “Butch T”. With the help of James Wreck from EatMoreHeat.com, on Friday, October 21st at 10PM EST / 9PM CST, the History Channel show Hairy Bikers will be the first national program to feature this Guinness record-setting pepper. Hairy Bikers hosts Bill Allen and Paul Patranella cruise into Houston where there’s a growing subculture of chileheads who test their taste buds and push the limits of pain by eating some of the hottest peppers in the world. The bikers set out to find and eat the hottest peppers around. Their atomic adventure takes them to a world class chili pepper farm, a local small town butcher and in the end they hook up with a group of heat seeking maniacs to see just how much “heat” they can handle in an Ultra-hot Chili Burger Challenge. In this episode, James is joined by Eat More Heat crew members John Scrovak and David Martin. John once again earns his title as the “stupid human tricks” specialist, and David makes a rare venture out from behind the camera for this cauterizing challenge. James Wreck has been referred to as a spicy specialist, hot sauce guru, culinary masochist, & out of his mind. James has dedicated the last five years of his life to tasting the biggest, baddest, and hottest the spicy world has to offer, and in the last two years it has become a full time job. He’s the only man ever to complete the Four Horsemen Burger (San Antonio, TX), the El Diablo Burger (Houston, TX), and the Bushido Spicy Tuna Roll (Charleston, SC) eating challenges on video. He’s tasted over two thousand hot and spicy products in his lifetime, and attends every major hot sauce festival in the U.S. annually. The mission behind all his spicy insanity is to share the bold and beautiful culture of chiles and capsaicin with the world. Paul Patranella is a four-star, classically trained French chef who loves motorcycles. 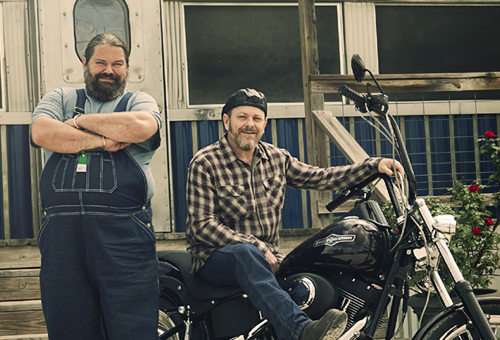 Bill Allen, a renowned motorcycle mechanic, is passionate about food. These two longtime friends know that food is the ticket to the American experience and that motorcycles are a traveling foodie’s best friend. 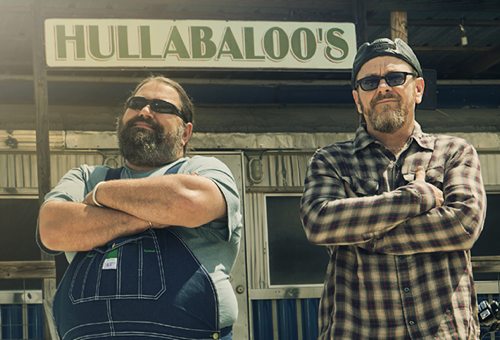 In Hairy Bikers, Paul and Bill embark on a fun-filled but informative road trip along back roads to immerse themselves in local American history and longstanding traditions. Set your DVR’s and Tivos now for Friday, October 21st 10/9c time!